So you want to stop living paycheck-to-paycheck. Perhaps you’re not even working, and you’d like to become an entrepreneur since you don’t want to be limited as to how much you can make. The reality is that when you start a new business, it will not be profitable the moment you launch. I know this is not the most motivational opening paragraph, but at EF, we refuse to write misleading information or give false hopes about a topic as delicate as entrepreneurship which can forever change your life. 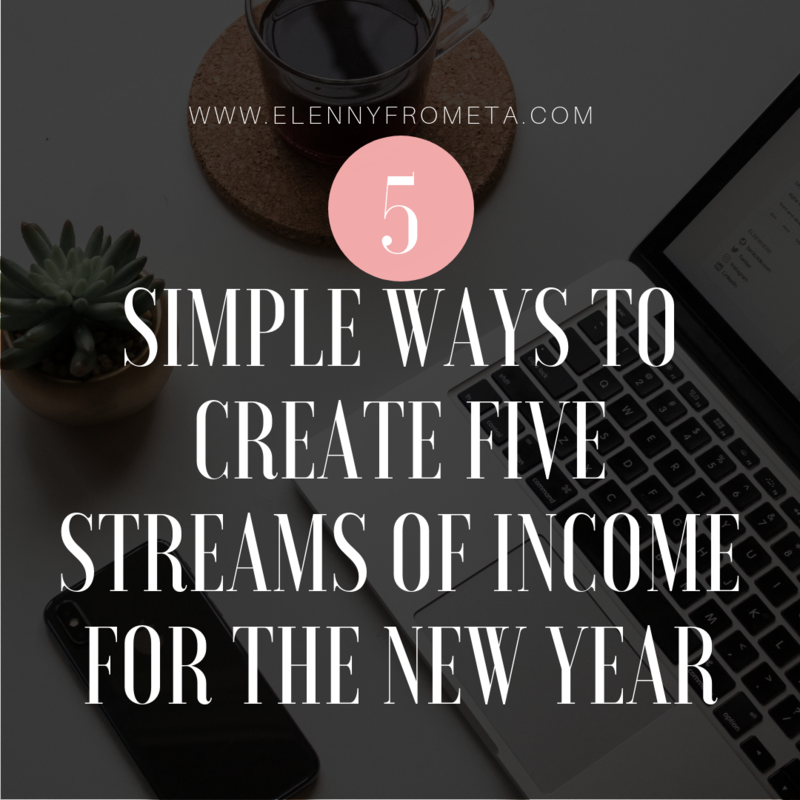 Thankfully, we have five simple ways to create five streams of income that with the right tactics, they will bring you consistent income each month. No, we will not talk about surveys or pyramid schemes. We all know that you will not get rich that way. … And we will help you every step of the way! You may think that this is easier said than done, but with today’s technology and innovations, creating and running a store/business from your couch is easier than ever, and it does not have to cost you thousands, or even anything at all!. Grab Your FREE 14-Days Trial of Shopify HERE! When I first started with Shopify, I simply used the free 14-days trial to test the waters. Since I never sold anything online before, I thought that the free trial was the best option to try and see how the whole “dropshipping” business works. I also hoped to make my first sale within those 14 days and *drumrolls please* I did! Buying and selling goods directly from the manufacturer and shipping it to the customers for a higher price for profit. If you are using Shopify for this, you may want to get familiar with Oberlo, the plugin that facilitates importing Aliexpress’s products to one’s store and easily selling them. This is my favorite, and the one this post will be mainly about! With print on demand, you can create your own designs for a variety of categories, have them produced on a product, and shipped to your customers. It is like having your private brand. The best thing is that with a service like Printful, you can make your brand as personal and unique as possible, and your customers do not have to wait for months to receive their items. You can also use Shopify to sell your own products online. 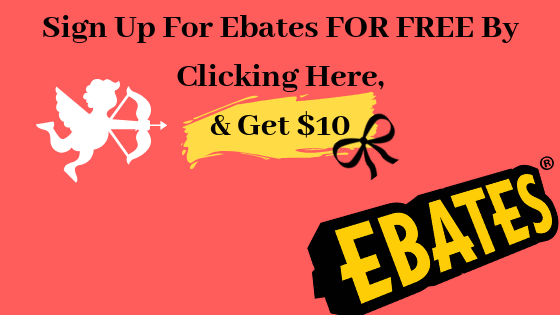 They make it extremely easy to print discounted labels, track, and ship your orders. With this, you have more control over your brand and how it gets to your customers. If you’d like to read about my experience droppshipping, you can read it here. After you create your Shopify store with the free trial provided here (assuming you are printing on demand), head over to Printful.com and follow their steps to successfully launch your store. Feel free to browse through their products and choose which ones you’d like to print your designs on. Pro tip: Make sure you have at least 10 designs before you launch. Doing so will save you lots of time! When your store is up and running, make sure you learn about SEO and marketing to promote your products effectively (we have posts for that) and make money! All while you’re at home or traveling. If you have a website, you may have some affiliate links here and there within your blog. However, are you using them properly and getting as many conversions as you’d like? If the answer is a “no,” you are not alone. When bloggers try to use affiliate links as a source of income, their #1 mistake is not incorporating them properly, which leads their readers to ignore them and move on to the next blog where they will make a purchase. To prevent this, I am going to give you a downloadable checklist of what to do each time you want to include an affiliate link in your posts. No email required… Just get the checklist below! I, too, own an Etsy store. 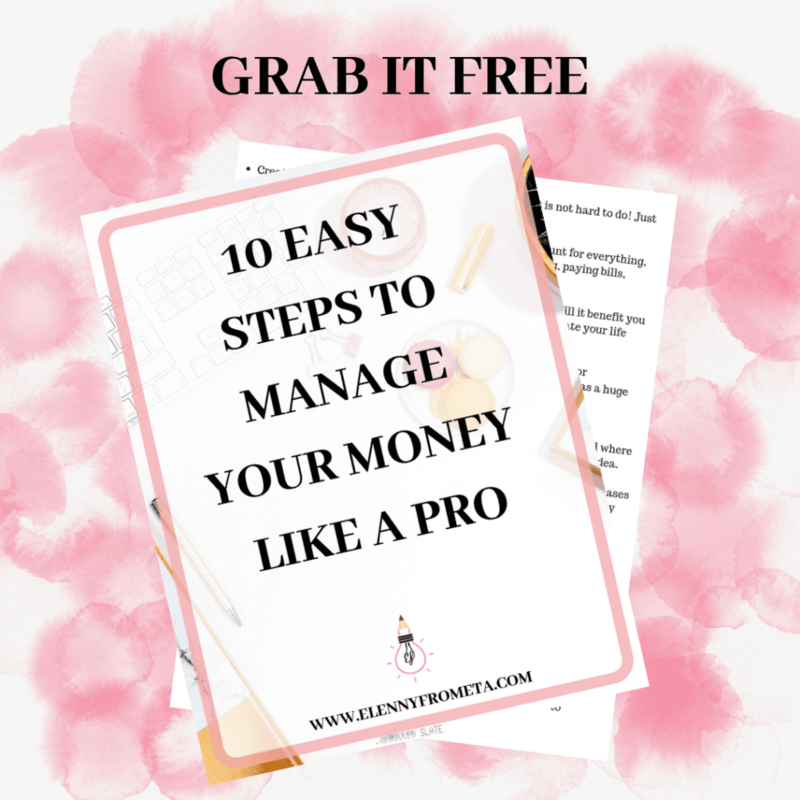 While I am not always creating printables exclusively for Etsy, I can tell you that you can make passive income there. You can create agendas, posters, planners, or anything you can think of that can be printed and used by somebody else. I have only created posters. The best part about Etsy is that i did not even have to market my products for them to be seen! Etsy is a marketplace, so it is easy for your brand to get discovered there. However, if you want to take it to the next step, you can promote your listings within Etsy and get more exposure. 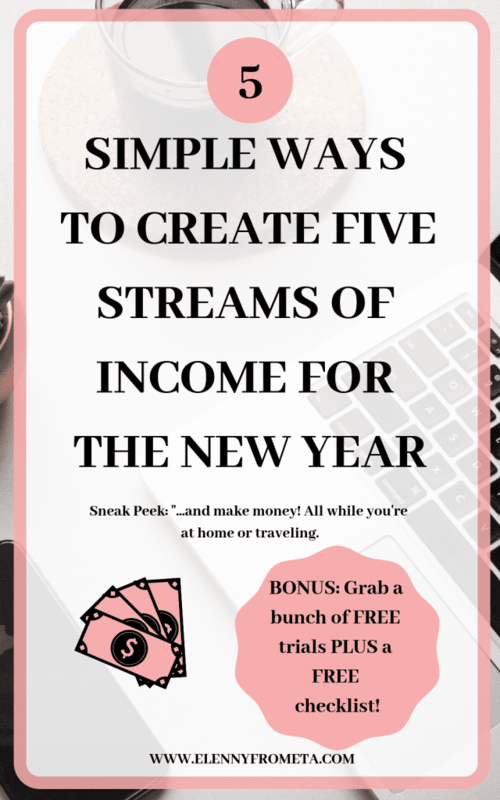 Save & Make Money Like a Millionaire! If you own a website, you MUST know that Pinterest is the golden egg for every blogger out there. There is just no other way for a blogger to thrive without it! Unfortunately, for one to get exposure on Pinterest, they must continuously pin and be active, which is time-consuming. 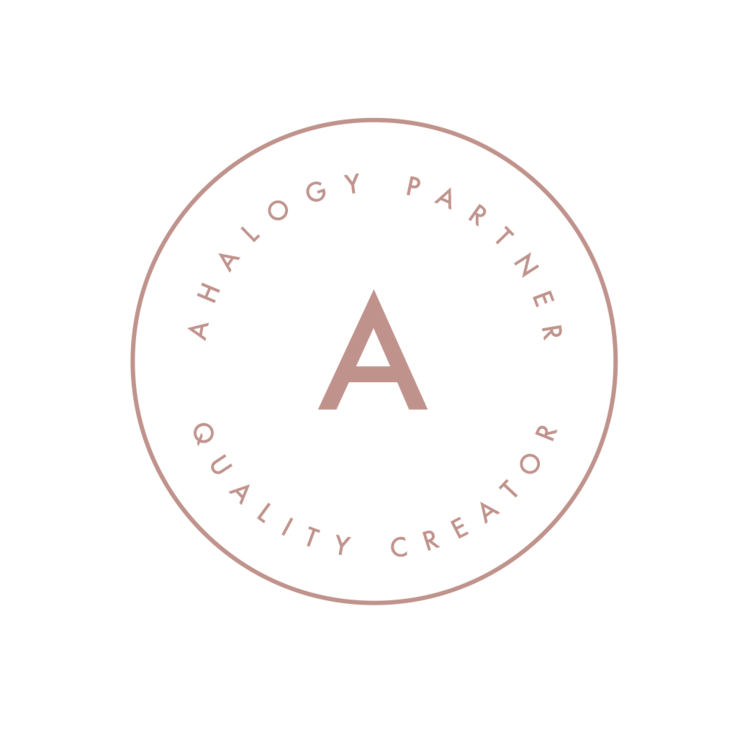 Thankfully, we live in an era where software is our ally, and Tailwind is the perfect one for Pinterest marketing. Although you cannot make passive income from Tailwind directly, you can use it as your secret sauce to boost your Pinterest, leading to a boost of traffic to your website, resulting in more conversions (affiliate sales, ads clicks, purchases, etc). Get Your FREE TRIAL of Tailwind Here. No Credit Card Needed! With Tailwind, you can schedule pins, join tribes to maximize your growth, get more exposure, network with other members within your niche, learn from experienced users, re-pin your popular pins, and get more money in the long run. If you consider yourself a writer, this one is definitely for you. Medium has a program where they pay you on a monthly basis if the stories you write are worth the money. You earn money when other members applaud to your work. 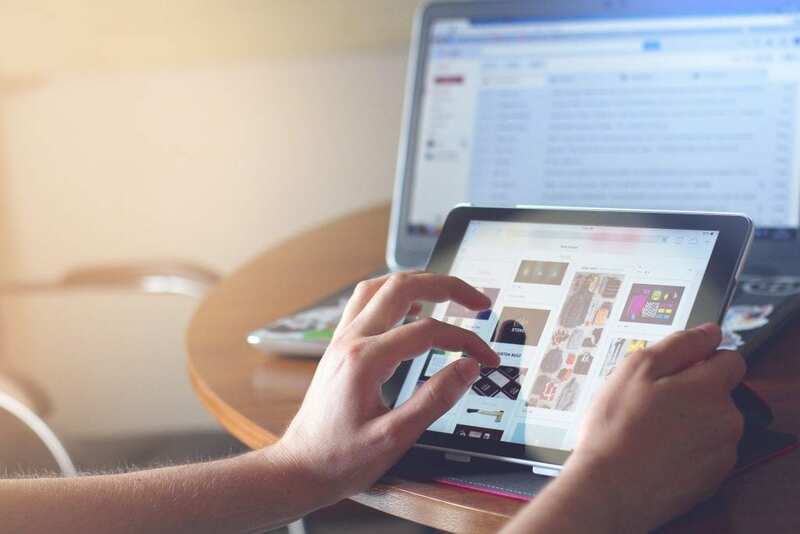 Though you will not become rich with this, you can re-share content that you have already posted on your website and hope it is good enough to get other members to applaud for you. It is worth checking out! Affiliate Disclosure: This post may contain affiliate links. This means that I might get a small cut of your purchase at no extra cost to you. THINK ABOUT THIS: HOW WOULD YOUR LIFE BE IF YOU WERE MAKING MORE MONEY? WOULD YOUR FAMILY MAKE A DRASTIC CHANGE? WOULD YOU ENJOY IT MORE? LET US KNOW!